Descend into the pit of the Wyrm of Eternal Night! Karmazid logo by View From The Coffin. Purple Ink on Black Gildan Heavy shirts. 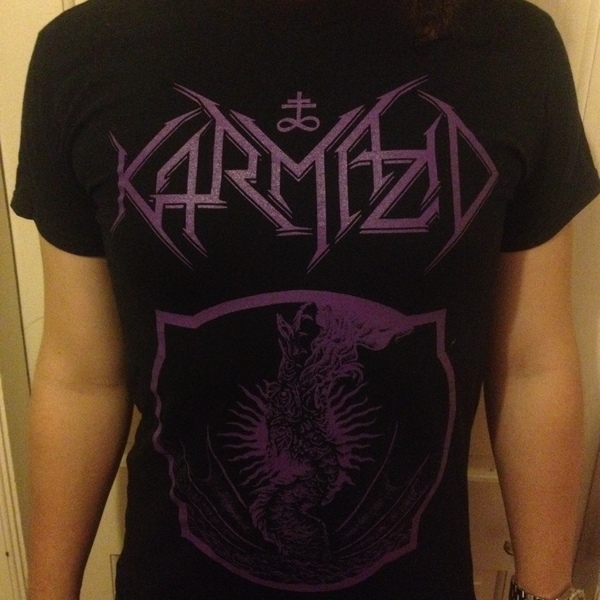 Printed by Martin Walkyier of Sabbat & Skyclad infamy!